Sitting at a computer for long periods of time can cause neck and shoulder stiffness and the occasional lower back pain. 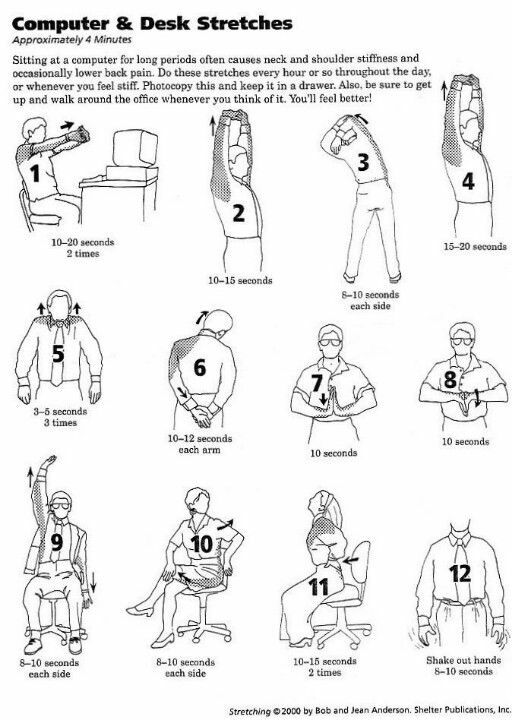 Do these few stretches throughout the workday when feeling stiff to get a nice little stretch. Also, remember to get up and take a walk around the office often for another break.